"Professor Kuru's authoritative study [...] shatters the deeply internalized myth that Turkish laïcité is unquestionably sui generis and thus cannot be compared with any other case. Second, it rebuffs the widely accepted premise that Islam and secularism are inherently incompatible, and that assertive secularism would therefore be the only working model for Muslim societies. Third, it clearly shows that in its application of assertive secularism Turkey has gone far beyond its historical model, the French laïcité of the Third Republic. This exemplary piece of scholarship further offers invaluable insight into the present-day tug-of-war over secularism in Turkey." "This is a pathbreaking book that shifts the attention from contentious debates over secularism as a norm and over the model of the secular state to the more fruitful task of comparing varieties of secularism and understanding the complex struggles that led to the historical formation of each particular type of secular state. [...] Kuru has opened up a field of study that should include many other varieties of secularism: Indian, Chinese, Russian, Mexican, Indonesian, and so forth." The political impact of religion has gained a global salience in the post-Cold War world, especially in the aftermath of 9/11. Religion today is a source of political cleavage in different parts of the world. Even secular states have been deeply concerned with religion and engaged it on many fronts. Secularism plays an important role in these debates as a constitutional system that defines state-religion relations in 120 out of 196 states. My book examines three secular states-the United States, France, and Turkey- and develops a generalizable model explaining why these countries have diverged in terms of how they regulate religion. What makes this cross-continental comparison interesting is that it counterintuitively reveals similarities between France and Turkey, while stressing differences between France and the United States despite their shared Western heritage and parallel levels of industrialization. All three cases are empirically important. The United States and France are the pioneers in world history that instituted secular republics. Turkey, for its own part, is the first secular republic in the Muslim world and is often discussed as a potential model for other Muslim-majority countries. Secular states, such as Turkey, France, and the United States, are defined by two criteria; their parliaments and courts are secular, in the sense of being free from institutional religious control, and they constitutionally declare neutrality toward religions by lacking an established religion. Therefore, these states differ from religious states (e.g., Iran, Saudi Arabia, and Vatican), which do not fulfill these criteria; states with established churches (e.g., England, Greece, and Denmark), which have secular legislature and judiciary but also establish state religions; and anti-religious states (e.g. China, North Korea, and Cuba), which have secular parliaments and courts, and are hostile to religion. Despite their shared characteristics as secular states, the United States, France, and Turkey have pursued sharply different policies toward religion. Students' display of religious symbols, for example, are free in the United States, prohibited in French public schools, and banned in all educational institutions in Turkey. In addition to students' religious dress and symbols, the book reveals policy differences between these three secular states on five other controversial issues in schools: a) pledges recited in public schools; b) private religious education; c) religious instruction in public schools; d) public funding of private religious schools; and finally e) organized prayer in public schools. These policies indicate that current American policies have been largely tolerant to religion, whereas French and Turkish policies generally restrict public visibility of religion. All of these issue areas have generated intense controversies in the respective countries examined, thereby making this book not only theoretically attractive to scholars, but also empirically interesting to a broader public audience. 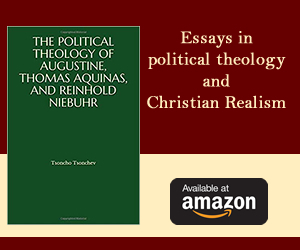 The argument of the book is that state policies on religion are the result of ideological struggles between the defenders of two types of secularism. In the US, the dominant ideology is "passive secularism," which allows public visibility of religion. Within this framework, however, separationists and accommodationists are defending two different interpretations of passive secularism in America. The dominant ideology in France and Turkey, in contrast, is " assertive secularism," which aims to confine religion to the private domain and to exclude it from the public sphere. Other cases where assertive secularism is dominant include Mexico, while passive secularism is dominant in such cases as India and the Netherlands. Passive and assertive secularism emerged and became dominant in these cases as a result of particular historical processes. The initial conditions, particularly the presence or absence of an ancien régime based on the marriage between monarchy and hegemonic religion, played important roles in the dominance of passive or assertive secularism during the state-building periods in the United States (1776-1791), France (1870-1905), and Turkey (1923-1937). The lack of an ancien régime (mainly due to religious pluralism) led to the consensual origin of passive secularism in the United States, whereas the presence of an ancien régime resulted in the the conflictual basis of assertive secularism in France and Turkey. The dominance of assertive or passive secularism always co-exists with resistance. There have been struggles between defenders of assertive and passive secularism in Turkey and France, and between the two opposite interpretations of passive secularism in the United States. Therefore, states are not monolithically assertive or passive, and public policies include exceptions and inconsistencies. For instance, secular French policies between 1881 and 1905 were more radical against Catholicism in comparison to those in the aftermath of the Second World War. Currently, a fifth of the French students attend schools run by the Catholic Church, which receive substantial public funding. Similarly, the Turkish state practices were extremely exclusionary toward Islam between 1933 and 1949, when all religious training institutions were shut down. Recently, secular state policies became relatively moderate in Turkey. Due to changing balance of power in the ideological struggles, Turkey is now moving from assertive to passive secularism. Despite their historical and ideological similarities, France and Turkey also show differences. In France, secularism implies a certain level of separation of the state and the Catholic Church as symbolized by the 1905 Law of Separation, whereas in Turkey the secular state has tried to keep Islam under control as institutionalized by the Directorate of Religious Affairs (Diyanet) that appoints and pays the salaries of more than 80,000 imams. "Control" and "separation" are two strategies of assertive secularist project of excluding religion from the public sphere. In 1904 and 1905, the French parliamentarians discussed both options. A group initially led by Prime Minister Emile Combes defended the first option arguing that the Catholic Church would be too dangerous if it was separated from the state. The French Parliament, however, eventually embraced the separation alternative. Yet since then, the French state has tried to keep religion under control in some cases, such as its recent effort to create an umbrella organization for Muslims. In Turkey, the control model was embraced largely because of the secular elite's concerns about Islam. That is why the law of political parties in Turkey has prohibited parties even to propose the abolishment of the Diyanet. The bottom-up origin and democratic evolution of secularism in France, and the top-down imposition and authoritarian guardianship of secularism in Turkey also account for these differences. As another issue related to public debates, the book problematizes the generally embraced claim that Turkey is the only secular state with a Muslim-majority society. In fact, twenty out of forty-six Muslim-majority states are secular as a) they either make secularism as a constitutional principle, or, at least, do not declare Islam as official religion, and b) Islamic law does not control their legislative and judicial processes. Only eleven Muslim-majority states are "Islamic" fulfilling neither of these two criteria, while the remaining fifteen states are in between because they establish Islam as the official religion but Islamic law does not control their courts and parliaments. Employing a rich historical analysis of the three cases, the book examines the origins of two distinct secular ideologies, their dominance until the present, and their impact on current state policies. The primary evidence is gathered from elite interviews, court decisions, and legislative documents. The book's emphasis on ideologies in the public policy making process is a challenge to the mainstream view in social sciences, which tends to attach importance to strategic and instrumental behaviors, while disregarding actors' ideas. Ahmet T. Kuru is an associate professor of Political Science at San Diego State University, formerly a postdoctoral scholar at Columbia University, and currently a visiting fellow at Brookings Doha Center. He is the co-editor (with Alfred Stepan) of Democracy, Islam, and Secularism in Turkey. 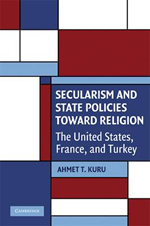 His book, Secularism and State Policies toward Religion: The United States, France, and Turkey received the Distinguished Book Award from the Society for the Scientific Study of Religion, and has been translated into Arabic and Turkish.